The main thing to learn about gauges is how Reporting Services positions them(both the gauges themselves, and the pointers, scales, etc within them). 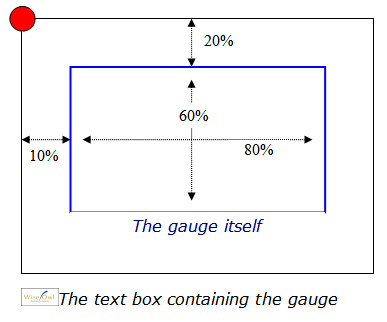 All measurements are taken from the top left corner of the containing object, shown here with a red dot (this is true whether the containing object is the gauge, or - as in this case - the text box containing it). Start 20% of the height of the text box from the top, and take up 60% of the height (which will have the effect of centring it vertically). 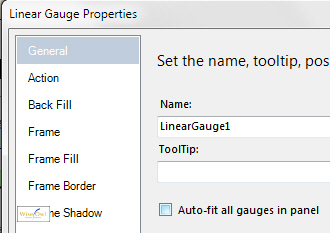 What this means is that you often need to get your calculator out to work out where an object will appear within a gauge. Did it really have to be this complicated? 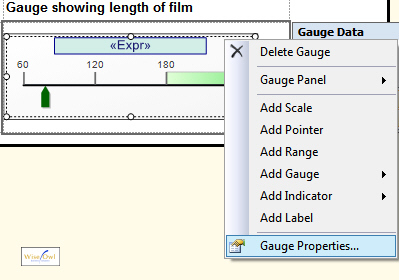 Right-click on the gauge and choose to display its properties, as shown here. 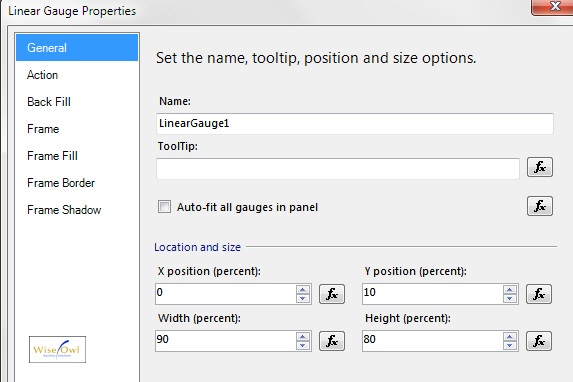 Untick the Auto-fit all gauges in panel checkbox shown (otherwise you'll have no control over the positioning of the gauge). Here the gauge appears left-justified (0% of the text box width in from the left), and takes up 90% of the width; and appears 10% down from the top of the textbox and takes up 80% of the height, making it appear vertically centre aligned. Each gauge occupies 80% of the height and 90% of the width of its textbox. 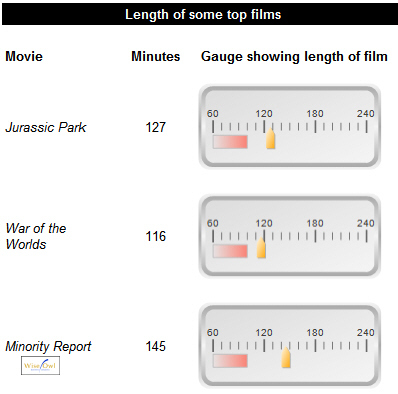 It's now time to consider each element of the gauge: namely, the pointer, scale and range.